​and system that supports you naturally and with ease." Your registration gives you access to the recording. ​We always respect your privacy, and do not share your information. Why not make it easier on yourself with Nature's bounty that loves your body, and your body, it! How to participate in their own 2017 Health Challenge, which also includes a guarantee on their Slique line of products. participating in the challenge for 60-Days! "Citra Slim" and "Slique Essence"
Since I started using this, I have felt more energetic and have seen a HUGE difference in my mood, my cravings, and my body. ​AHH!!!! I can't tell you how much I love this and how inspired I am. When I first put these photos together I couldn't help but cry happy tears. Yes, I'm getting results. But I'm also so proud of myself because I'm doing this in a healthy way that honors my mind, my body, and my soul. This has been the most positive change for me and I'm going to keep going. I lost over 3 inches in my waist line, 1.5 inches around my hips, and 5 pounds...ALL IN 15 DAYS! That is only 1/4 of the way through the Slique in 60 program I mentioned earlier. WOO HOO! Tastes delicious!!!!!! In one month I have lost 8 pounds! I drink 2 bottles 3.1 Fl Oz each with 10 drops of the oil in each bottle. I also add some liquid stevia and ice. The Slique Essential Oil blend is made from essential oils so no side effects whatsoever! I have grown accustomed to it. 2-4 drops in my water every day and I dropped from size 10/12 to now size 6! Results are not immediate, but I saw the difference after 3 months. I dropped 1 dress size then just continued to shrink in less than a year. Slique tea goes well with the oil in curbing my appetite. I wish I could post my photos – before and after. 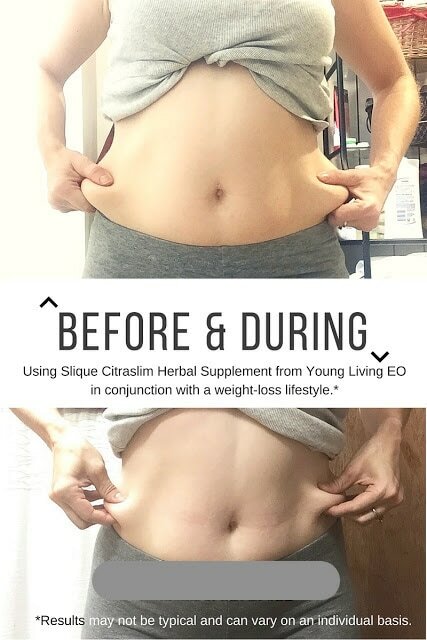 What I love most of Slique EO and tea is that they target the tummy – family saw the difference not really in weight but that my waist is trimmer and my tummy bulge became unnoticeable! How happy I am now when I go shopping- I feel so much sexier now – Imagine me, the most sedentary person in the family! I never thought that I could still lose my tummy bulge after 2 kids, but I did. Thanks to Slique! I love this product! As well as all their Slique line. They do have pill supplements also. This is meant to help regulate blood sugars, and curb the craving. You put a few drops in water or tea. I find it worked very very well. I also am very sensitive to supplements, it has no fake stuff in it and isn’t high in caffeine or other things that can irritate the digestive system. It is a win win win in my book! I’ve found that Slique Essence is awesome for eliminating sugar cravings. When I feel like I need a sugary dessert I simply take one drop of Slique Essence on my tongue. I very much enjoy the flavor of this essential oil blend and particularly like how the flavor shifts to another the longer it’s in my mouth. The first layer of flavor is Spearmint, shifting to slightly warm and spicy - that would be the Ocotea, moments later are the citrus flavors... and somewhere along the line the sweetness of the Stevia kicks in. Some of the benefits of Slqiue Essence go beyond eliminating sugar cravings though. The citrus oils are high in limonene. Ocotea is good for blood sugar levels. Generally speaking though, I think this is a good essential oil to have a drop of every day for encouraging better health - either on the tongue, in a glass of water or a cup of tea. Tip: be sure to give the bottle a good shake before use. On January 7th I began using all of the Slique line of products and have lost 40.8 pounds since then.First I had to work on getting my health back, as I had thyroid issues and also issues with adrenal fatigue, low vitamin D, low progesterone, low estrogen, and low magnesium, selenium, and zinc. Between the thyroid and midlife, I have put on too much weight, and it is not coming off. The scale is creeping up and up annually. Fortunately, therapeutic-grade essential oils have been a blessing, helping me to manage issues associated with my thyroid, such as depression, stress, anxiety, and sleep. My schedule with the kids tends to make me skip breakfast (very bad, I know). Fortunately, I can down a quick and yummy Balance Complete vanilla shake in just a few minutes. I also replace my lunch with another shake, or I eat a salad. I have felt more energy throughout the day because of these shakes. When it comes to weight loss pills, my first instinct is to think that they are a scam. I guess I am just a skeptic when it comes to stuff like that. However, I have found Slique Slim Caps to be an awesome tool for cutting the appetite. They are individually wrapped in a packet of three capsules to be taken with a full glass of water about 45 minutes before the largest meal of the day. I normally hate taking pills, but I find the Slique Slim Caps to be easy to take. They do not give me that yucky feeling in my stomach but are extremely helpful in giving me a feeling of fullness in my stomach halfway through my supper. Though I may be eating the same meal as the rest of my family, I want to stop eating, unable to finish my plate! I also love the relaxing feeling that I get later on in the evening after taking Slique Slim Caps. It feels similar to what I experience with Stress Away essential oil blend. Even snacking late in the evening is no longer an issue! I do not have any reason why, but I have also been going without my glass of red wine in the evening... without even thinking about it. The craving is just gone, and I am very satisfied. This is a good thing, as I have wanted to cut way back on that too! It is strange how other good things happen with these essential oil products that I would not normally expect. I have only been doing this diet for a week, but I immediately experienced a reduction in my stomach area. The scale shows the loss of a couple of pounds, so I am really happy with the results. Using Slique weight loss products is an easy program to continue since I am not feeling deprived of anything! ​and system that supports you naturally with ease." Founder and Owner of Spirit Source Connect, Life Coach, Energy Healer and Distributor for Young Living Essential Oils. Suzanne has been pharmaceutical and health insurance free now for more than 27 years, all through the daily use and enjoyment of Young Living's Essential Oils and Supplements. 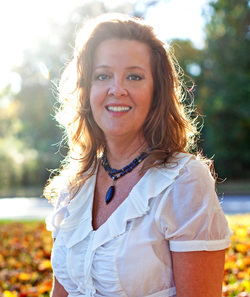 She is a Life Coach, Energy Healer and Spiritual Mentor. She has been using Young Living Essential Oils since 1996 for all aspects of well-being: mind, spirit, body and emotions. After continuing to experience healings - both large and small - for herself and her clients with the use of these oils, Suzanne has been dedicated to making sure that every person and household in her circles are aware of the benefits and opportunities, for themselves, their family, pets and home.